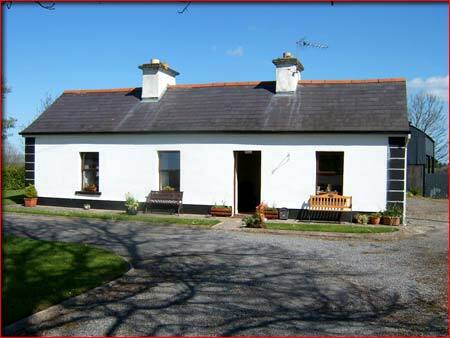 Rockview House rental (self catering) accommodation in Carracastle near Charlestown in County Mayo, Ireland. This beautiful holiday home with its old world charm is situated in the village of Carracastle, midway between Charlestown and Ballaghaderreen (4 miles from each) on the Mayo/Roscommon border. This newly renovated cottage is 200 years old with mystical charm on its own spacious grounds and is close to Church, Shops, Post Office, Community Centre and Public houses. 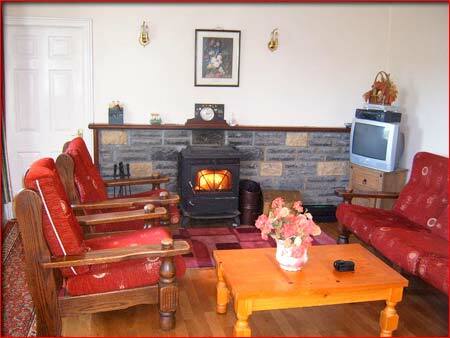 Set back in a peaceful and scenic location the house can accommodate 6 - 7 people and has all modern facilities. 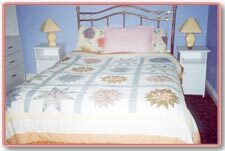 The house is accessible to the disabled and has bathroom with shower/bath. There is a playground with swings/slide, basketball, football field and spacious grounds.